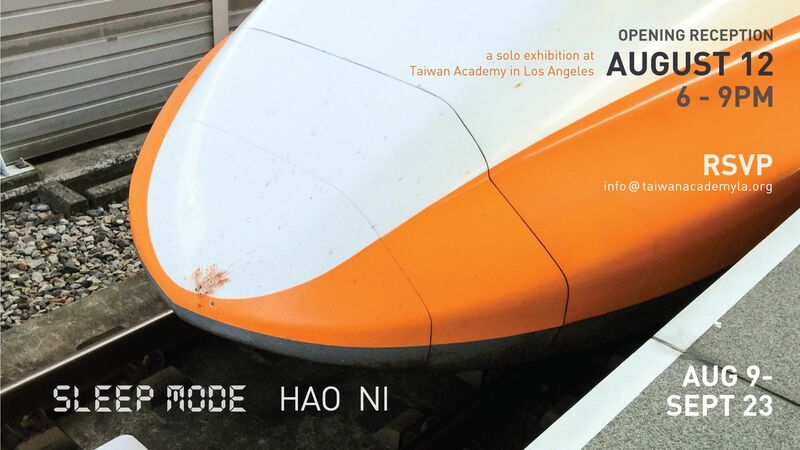 Taiwan Academy in Los Angeles is pleased to announce its second solo exhibition, Sleep Mode, presenting works by New York-based Taiwanese artist Hao Ni. This marks the artist’s first solo exhibition in Los Angeles, featuring an eclectic series of mixed media installations, sculptures and video, from August 9 – September 23, 2016. The title of the exhibition – Sleep Mode – describes the power-saving mode of operation that most electronic devices today assume automatically when idle. While in this mode the device is capable of instantly resuming full function upon each awakening. It came to convey an enveloping sense of drifting between light and dark, day and night, as well as a feeling evoked in the dialogue between human and machine, the body and artificial environments. The opposite side of the gallery is shrouded by darkness, anchored by the centerpiece of the gallery, Night II; a kinetic and dioramic sculpture that portrays a raining night in slow motion. Set within this imaginary landscape is a ghostly sculpture of a hand wearing a half-glove; lit under the car headlights, it alludes to a constant readiness for transgression and violence, casting a shadow of suspense and unease. Surrounding the landscape are other testaments to a similar sentiment, best marked by the memorial-like lightboxes of Residue, paying tribute to the sublime of anthropogenic disaster suffered by dead insects, forced by their own phototactic instincts and perished under the violence of the changing physical landscape shaped by technology. Taiwan Academy in Los Angeles, 1137 Westwood Blvd, Los Angeles, CA 90024.